Hello. I'm Alexis, Center Director of Mathnasium of Glendale, your neighborhood math-only learning center. We help kids in grades 1-8 understand math by teaching the way that makes sense to them. Mathnasium of Glendale opened in 2015 and offers math tutoring and homework help to hundreds of students in the Glendale community. Our center is located on the corner of Pacific Ave and Arden Ave, just north of the 134 freeway and south of Glenoaks Blvd. Check out our Silver Lake and Eagle Rock locations as well! The staff is always friendly and helpful, which is so important. It took some time and lots of hard work, but my daughter’s grade in math has improved greatly and she actually likes math now!! My child enjoys going to Mathnesium. They make it fun. My kid is doing a lot better in math now, thank you!! We LOVE Mathnasium. Being able to drop in whenever we can without being locked into specific times or days is really fantastic. Alexis and Evette are the BEST. We’ve tried every program and this is the only one that has worked for my son. Etan is making great progress & enjoying Math! Great staff works with us and is nice, understanding, patient, and flexible! My daughter loves it and everyone is super nice there! The Glendale location is great. The tutors take the time to get to really know the kids. They communicate with my daughter’s math teach and even offer to go to the school. The tutoring system is highly organized. Owner Maya runs a wonderful location. Highly recommend. My children love going to Mathnasium. They make math fun for all personalities. It's such a high-energy, positive, and tailored learning environment. Mathnasium have a great program of tutoring and a great group of instructors, but you have to be patient to get a good results. Fun way to learn is in Mathnasium! My daughter enjoyed attending the sessions. She was improving. We are just sorry we couldn't complete the full term. WE love this location. Instructors are friendly and helpful to the students and parents! My son love to go there and the way that they are teaching make him feel confortabile about Math. Both of my daughters attend Mathnasium. Mathnasium has helped build their confidence in math. They look forward to being challenged each time they go. 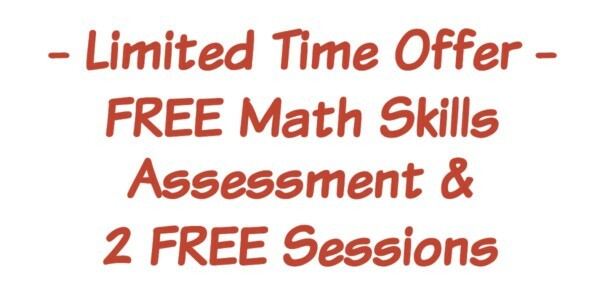 Great program and good way to get kids engaged in math and learning! It's a good environment for kids, my daughters like the way the instructors teach them. I'm so happy with the results. I appreciate the detailed report of my child's performance and process. I feel my child is valued. I love how Mathnasium employs quality educators who know how to keep students engaged and challenged. Very personalized tutors. They know, and remember, specific things about my son’s tutoring needs and his personality. They seem great with all kinds of kids. Love the reward system. While my son doesn’t love going, he doesn’t mind it, which is amazing. My son enjoys the tutoring sessions and they have helped him increasing understanding with some concepts he did not quite grasp before. Great teachers. My son loves them. Amazing place, caring environment. Hope I’ll see the results as I expect. We are very happy with our sons progress. Plus he enjoys going and looks forward to it. We joined our 9 yr.old son about 2 months ago to mathnasium, he loves it! We love the fact that for the kids they have a fun way of tutoring them in math. I would highly recommend others to join! We love Mathnasium! The high cost is the only reason I hesitate to recommend it to others. Mathnasium is great. My son loves it. He improved a lot. They teach maths through fun. Faculty is awesome. They respect everyone. We had nice experience with Mathnasium. My son is missing it. Mathnasium Glendale has been helpful to my 3 children. The staff is knowledgeable, helpful and kind. I gladly recommend this facility. My son was struggling with math and lost his confidence in class. After several months of working with the team at Mathnasium, my son wants to go to school to show off his math skills. Mathnasium changed my son's outlook on learning and himself. He knows now that he can do it... With a little help from friends. Caitlin has benefited greatly from her time at Mathnasium. She is feeling more confident about her math skills. All of the math tutors are kind, patient, and encouraging. It is already on my daughters routine to go to mathnasium, I don't have to remind her in fact she's the one reminding me of her schedule. Her grade in math gut A too. This is now my 5 th week at the center. My daughter is very happy with the help she is receiving . Love the staff! The instructors all of them are awesome. Friendly and great tutor for my child. Thank you so much!!!! Our sons are new to Mathnasium but so far they are really enjoying their classes and actually look forward to going. This alone is a wonderful step forward. Thank you! Mathnasium is a fabulous program that is giving my kids the foundation in math that they need. Both of the kids were doing okay in math in school, but neither one had any confidence. Oddly, they both earned passing grades in math on their report cards despite often failing cumulative tests. Perhaps this is due to always completing their homework and other math assignments? This wasn't good enough for me. I want them to have math as a real skill. Mathnasium filled in the gaps in their knowledge. Now they have confidence. And they shout out answers to math at home when I ask them real life math questions (relating to buying groceries or affording a vacation). And regardless of their grades in school, I am confident that they are actually learning math, which is of course the real goal. I'm so glad that Mathnasium exists. I do really recommend Mathnesium to my friends because I personally saw the results on my daughter we love them all staff is great people. My kids love Mathnasium of Glendale! They absolutely love Maya’s team of tutors! Both my girls feel more confident about going back to school as a result of summer math camp. Thank you, Mathnasium, for all your encouragement, caring and support! I love Mathnasium. The staff is very friendly and helpful. The one-on-one attention has been so helpful for my son. His confidence and understanding has improved. He looks forward to attending and his siblings all want a chance to sign up too. The only downside is the price. It is out-of-reach for many families who need it and will limit how long my son will attend. The punch cards motivate our daughter and she returns home happy and proud of herself, especially when she has learned something new. I love hearing the staff greet our daughter by name each time she enters! Our daughter is excited about math and she feels at home there. With Mathnesium my son is confident & happy doing Math now! Thank you! It's a great place to learn more. It really helped my daughter become confident in her ability to solve math problems. Before coming to Mathnasium she would just shut down when it came to math. Now she is more open to asking questions and working towards solving the problems. Friendly environment, great staff and tutors! It's a great place to learn. I can see improvement, even doughty my daughter has started couple of months ago. We have been extremely impressed with mathnasium. This was a difficult financial investment for our family, and we've had to make other sacrifices and compromises in order to pay for this tutoring, but we think the long-term benefits will make it well worth it. We approve of the methodology used at the Glendale Mathnasium. We find it to be a positive environment for learning, and best of all, our kids actually enjoy going there...which pretty much says it all. Mathnasium has improved my son's perspective in Math, since last year. He follows his teacher's directions and tries to solve math problems thoroughly. His scores improved because Mathnasium made Math makes sense for him. So far so good. I have been recommending it as better than your average math tutor because of your assessment model. Filling in the holes in math understanding just makes good sense. As for whether or not it's helping, I think it's too early to say. Kassidy said she had trouble with a math test at school and wasn't able to finish it. That is worrisome. We'll see how she did when we get the test back. Since she is still working on Grade 4 math, mathnasium hasn't had a chance yet to help her with her current math, specifically. As for Desi, I just hold my breath each session hoping that he can commit to finishing five pages each time. The reward system seems to motivate him, so I'm glad for that. My kids love coming all the time and they are ahead at school and feel confident in there Math schools. Mathnasium is amazing. I already have recommended it to my friends. My daughter was falling behind in math more and more every year. Teachers never expressed concerns and I didn't realize she was struggling so much. Until one day she came home from school in tears because she didn't understand the math, she was behind the class and all her friends and she was feeling really bad about herself. That's the day we started at mathnasium. She's catching up on some fundamentals she never mastered while simultaneously working on her current work. So she's catching up and keeping up at the same time. Since then her confidence in math has skyrocketed. Her overall grade continues to improve as well as her test scores. But most importantly, she's understanding the math. My son had an awesome experience and now loves mathematics because of the two week tutorial. Thank you! My daughter has always struggled with math. We have tried other programs, but this is the first time she looks forward to going to a center. I have also noticed she is more confident and is looking at math in a more positive way. I noticed his improvement and he is more focused than before. he has more confidence now. I can't thank Maya, Victoria and the rest of the Mathnasium crew for helping my kids find out that they actually LIKE math. Well worth both the money and time. Helpful and friendly instructor especially Victoria. My daughter never fuss about going to the Center. She said everyone was helpful and kind....she looked forward to the treats!! My daughters both feel less reluctant and more confident with math. They also are starting to do a little better at school with math, so I think it's working. Best of all is that they and their brother like going. They previously fought me on all tutoring. I appreciate that I can always ask questions about my child's progress. Staff is friendly and approachable. I love that they help my child with homework as well! He definitely is much more confident in Math today than before. Thank YOU! My son is a month in to it. Its just comforting to know he will gain back his confidence in math. I look forward to seeing the progress in his academics and grades. It has been great to have a place to turn and take the pressure off of me. No more nagging to study!! Very pleased with all of the teachers. Pleased with how you allow us to set our own schedule. Pleased that my son got 100% on his last math test! YAY!! Thank you! My daughters have greatly improved in their math skills and they love going to Mathnasium! My kids LOVEEE Mathnasium. I couldn't be happier with the progress they have made since we have started. Friendly and accommodating staff. Our daughter is more confident with her math skills. You have been a great help with my son. All of your "teachers" do a great job in helping my son understand things that he is not taught in class. Drew enjoys going to Mathnasium; he likes all of the tutors and he is learning a lot. I appreciate the time and attention to detail that is provided there. To quote my daughter "I learned more in 15 minutes than in the class for 45 minutes"
The staff is very personable and helpful in all areas. I like that the kids get to learn with instructors! The specialized work that's specific to each kid is wonderful as well! It does a great job at working with kids weaknesses as well as building up on their strengths! While mathnasium Glendale might be one of the newer locations, they've done a great job at growing and perfecting their system in every way they can! My kids look forward to go afterschool. They love the incentives. They love the atmosphere.